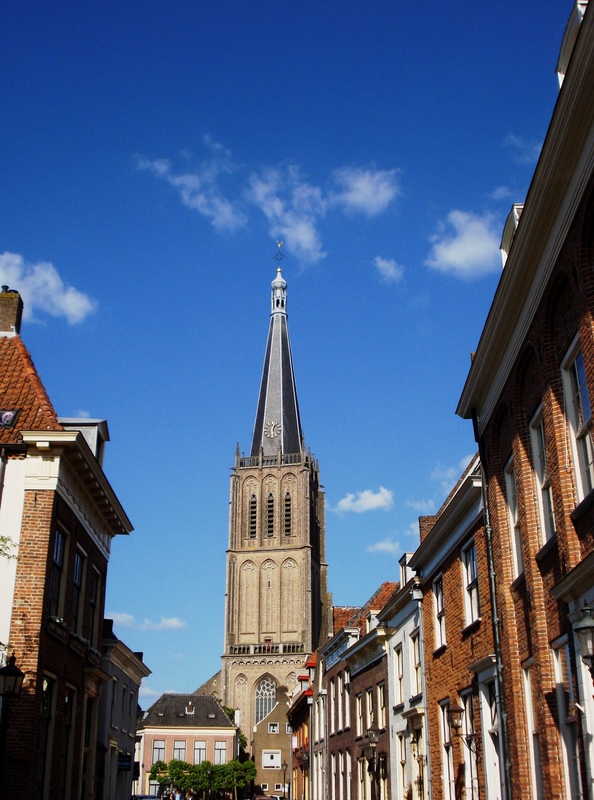 In 1655, the brothers François and Pieter Hemony sold a light carillon of 20 bells to the city council of Doesburg. 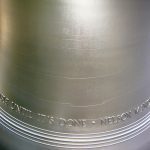 Due to financial tensions, the council was not able to pay the Hemonys in proper time and to realize its plan to complete this instrument with three heavier bells. In 1723, three small bells by Noorden & De Grave in 1723 were added in order to enlarge the instrument to 23 bells. 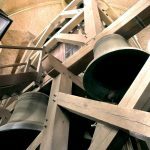 In 1912 the bells were moved from their location at the outside of the tower to the interior. As a result, the tower got the nickname of ‘giant with the squeaky voice’. On 15 April 1945, German soldiers blew up the tower, destroying also the carillon. 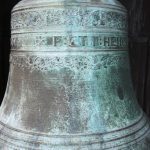 Twenty years later, the eight surviving Hemony bells were included in a heavier carillon of 47 bells. 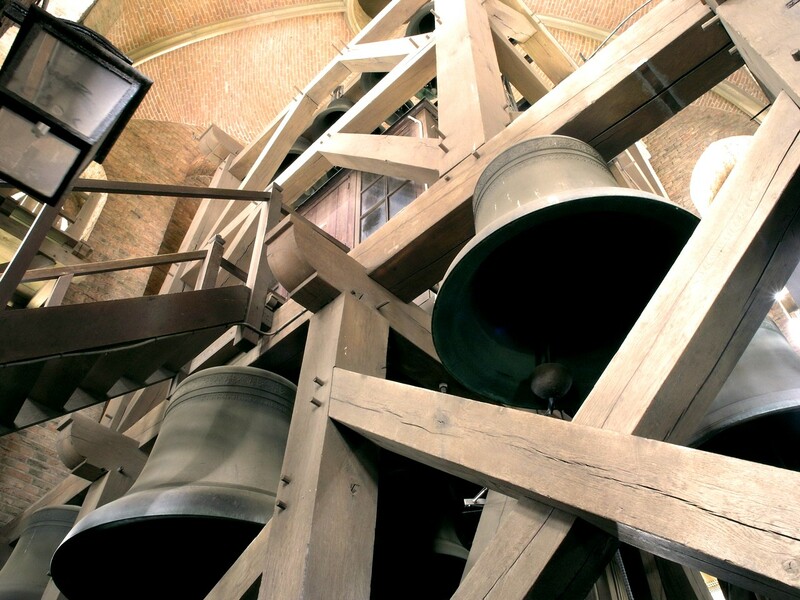 The 39 new bells were cast by Eijsbouts in accordance with the Hemony bells. 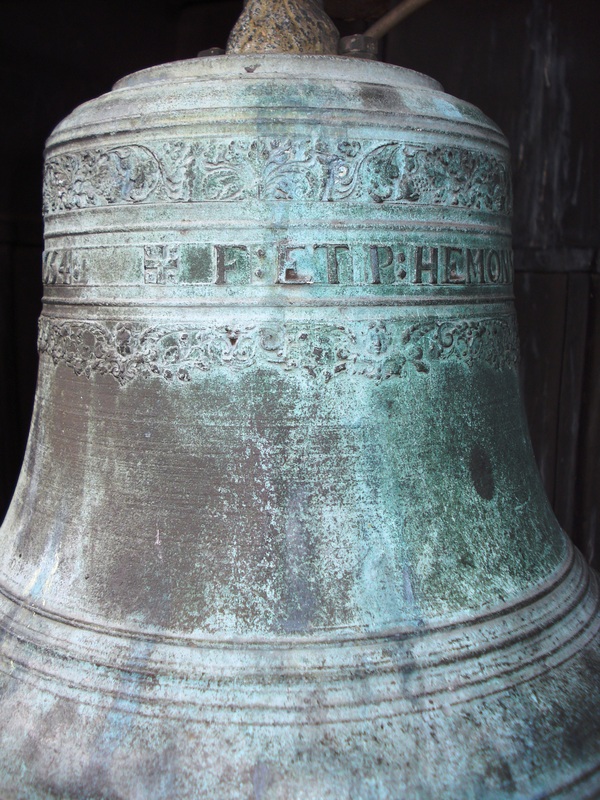 The four new base bells were given the names of persons who had contributed to world peace after World War II: Queen Wilhelmina of the Netherlands, Pope John XXIII, American president John F. Kennedy, and European statesman Robert Schuman. 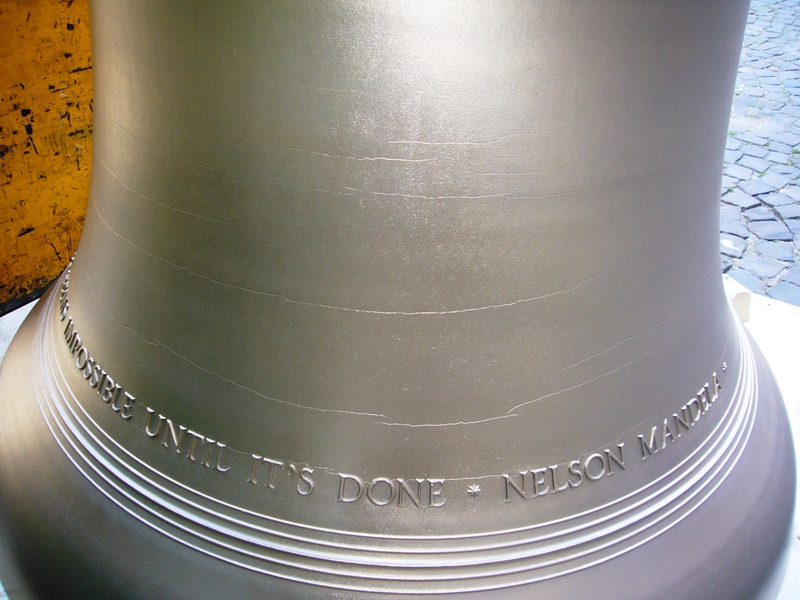 On the initiative of Stichting Doesburgs Carillon, the instrument was completed with a Nelson Mandela bell in 2015. In 1965 as well as in 2015, the instrument was inaugurated on 5 May or Liberation Day. 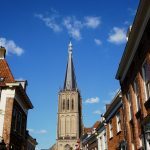 The pacifistic identity of the Doesburg carillon is beautifully expressed in the five base bells, whose inscriptions are famous quotes by the persons to whom they are dedicated. Het nationale bloeit op in het bovennationale.